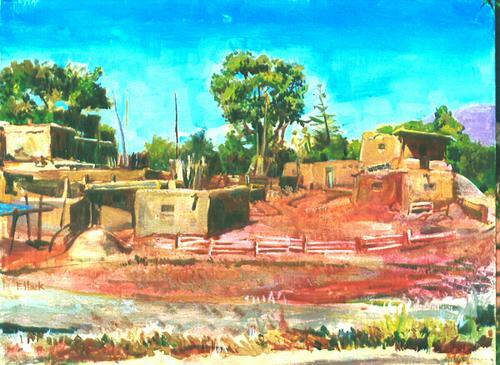 This original oil on canvas represents Taos Pueblo in New Mexico. The artist's impressionistic style captures the transient effects of color, light and shadow across the desert landscape. His painterly technique is characterized by visible brushstrokes and expressive impasto.